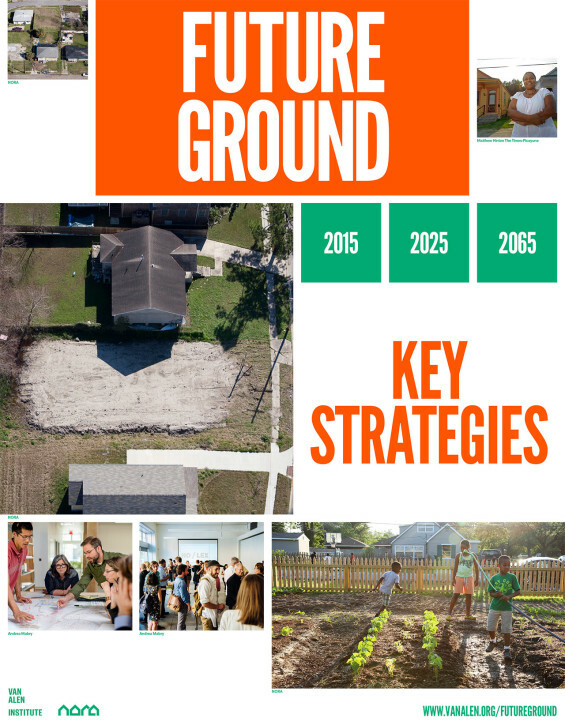 Van Alen Institute and the New Orleans Redevelopment Authority (NORA) have released the key strategies developed through Future Ground, a competition to generate design and policy strategies for vacant land reuse. 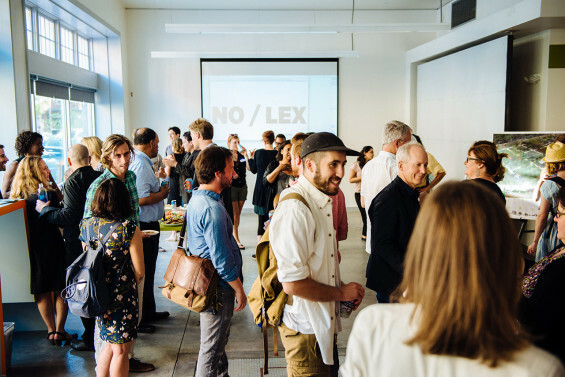 Over the course of six months in 2015, the three winning multidisciplinary design teams – NOLEX, PaD, and STOSS – tackled fundamental questions not only about vacant land, but also about creating more equitable cities: How can we build unconventional partnerships to improve quality of life in underserved communities? How can land support businesses that create living wage jobs for residents without college degrees? 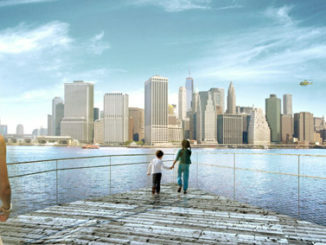 What future opportunities will exist in neighborhoods with low market demand? 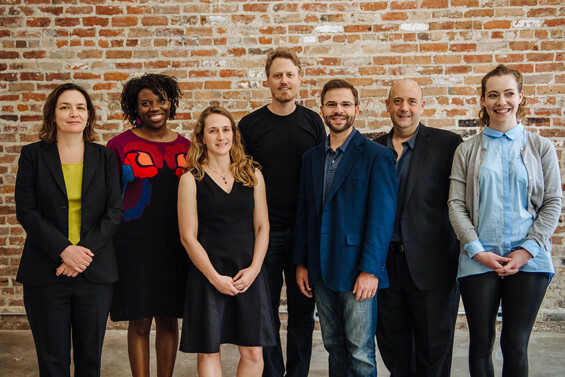 The teams’ approaches to job creation, community engagement, and planning for low-density neighborhoods are now informing NORA’s and the City of New Orleans’ plans to create a more equitable, resilient city. 1. 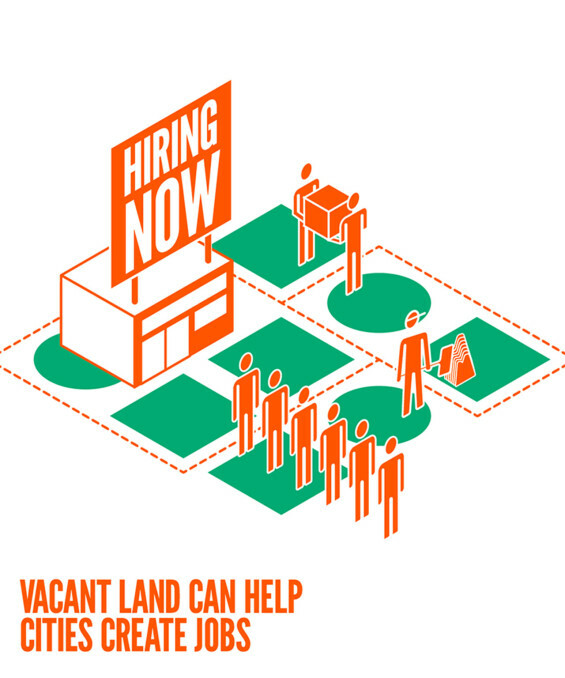 Use vacant land to create jobs. Team STOSS found a shortage of parcels large enough to support broad-based economic opportunity in New Orleans. 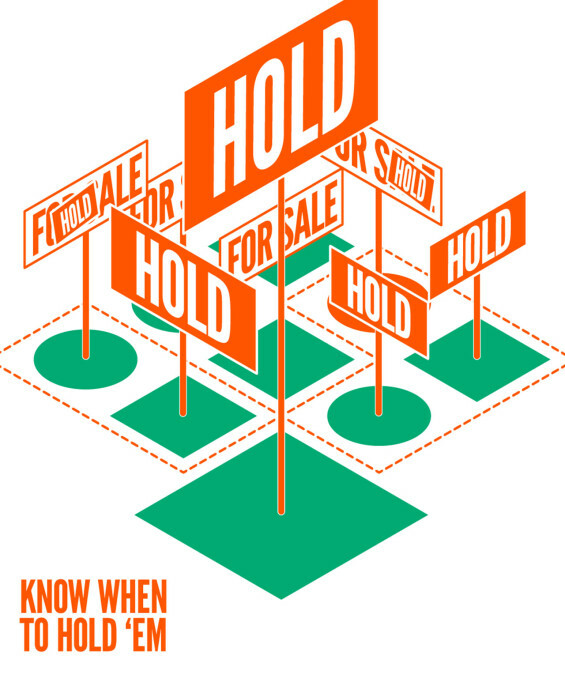 To boost economic development and job creation, the team urges cities to revise land-use policies to allow smaller lots to be assembled into large parcels, or to program individual sites to operate as a larger parcel would. 2. Know when to hold ‘em. 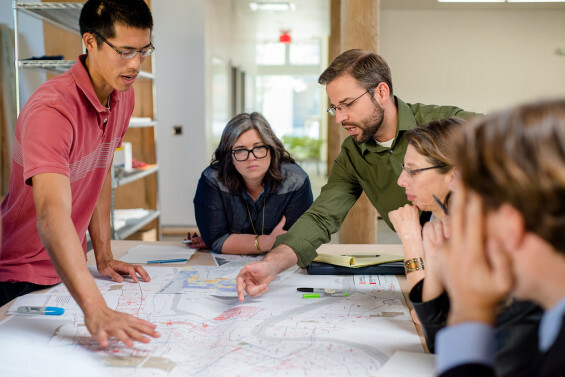 All three teams recommended cities should strategically reserve some lots and invest in acquisition in order to achieve larger ecological, economic, and social benefits; large-scale impacts on housing, flood protection, and public health are often only possible with larger parcels of land. 3. Engage stakeholders through mutual interests. Team NOLEX provided a toolkit to guide unlikely partners in reusing vacant land collaboratively by identifying the overlapping aspects of each partner’s core mission. Team PaD showed how strengthening food security and using commercial economic development programs could support residential goals in rebounding neighborhoods. 4. 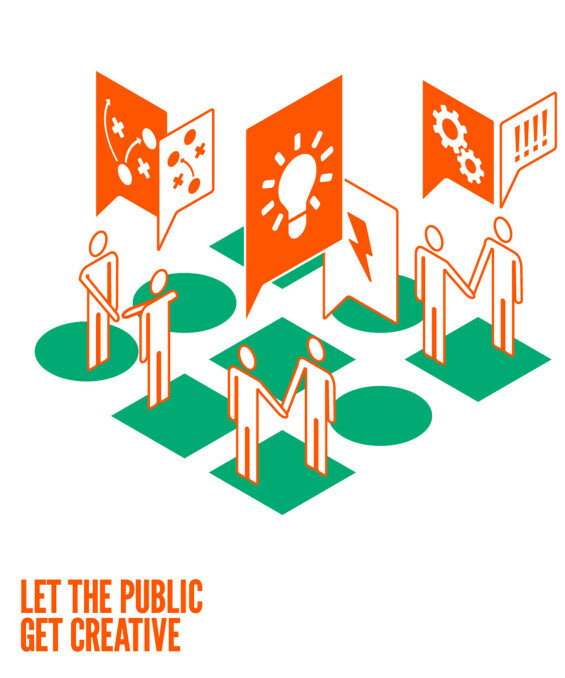 Let the public get creative. 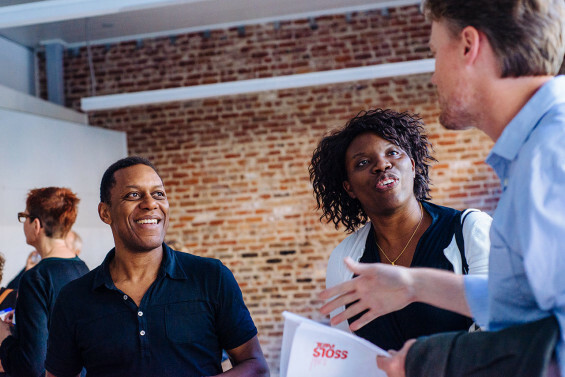 Team NOLEX proposed role-playing negotiations using game pieces, while Team STOSS proposed block parties and other activities to bring the public into decision-making process in ways that are inviting and even fun, and that form a basis for longer-term community-based transformations. 5. 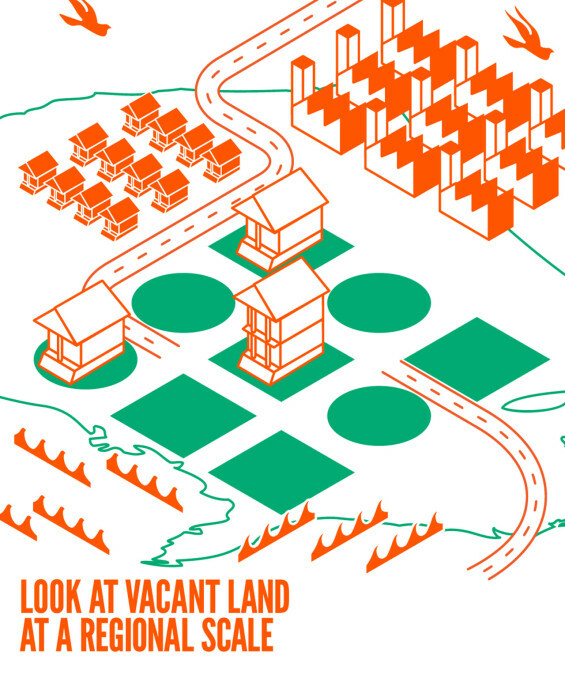 Look at vacant land at a regional scale. 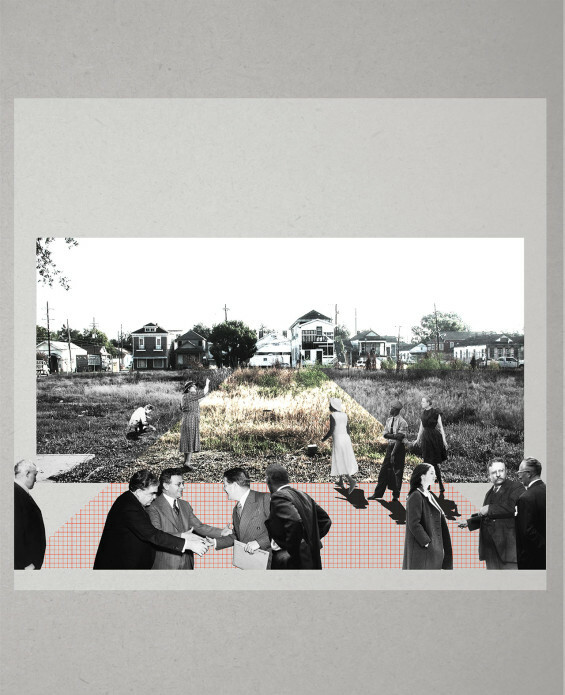 To open up new possibilities for vacant land, Team PaD urged New Orleans to look beyond the city’s borders. 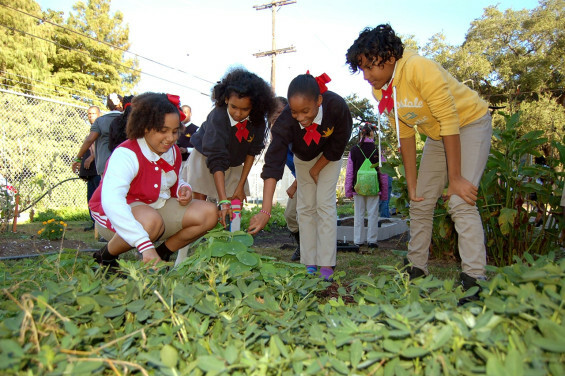 At the regional scale, a neighborhood’s vacant lots fit into a bigger picture of investment and planning around roads, wildlife areas, waterways, and tourism. 6. 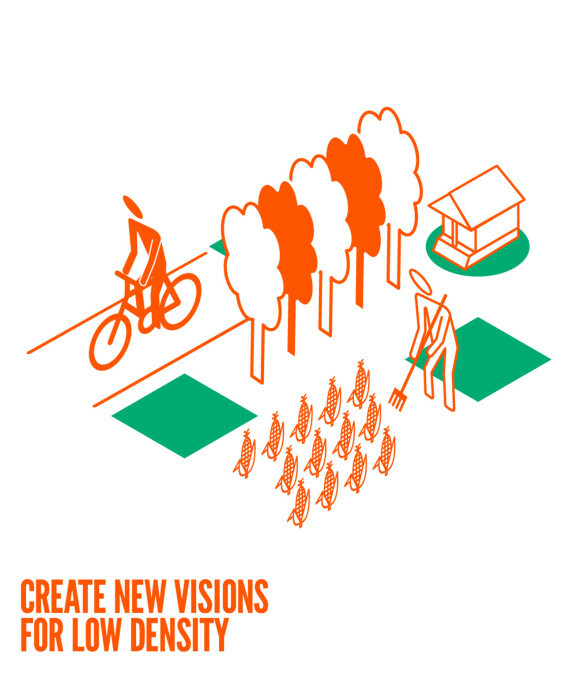 Create new visions for low density. 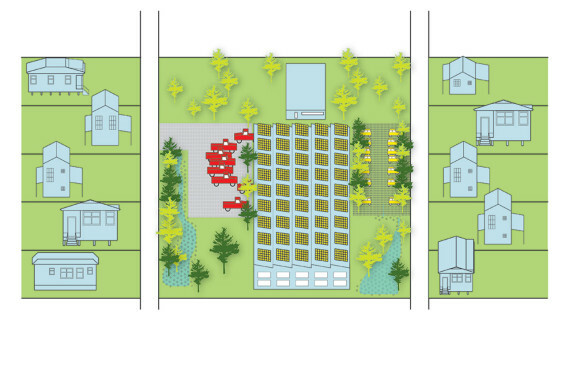 The PaD team developed a vision for a low-density residential neighborhoods settled among a network of farms, tree nurseries, and unpaved trails that support existing grassroots efforts while developing places where people and nature thrive over time. 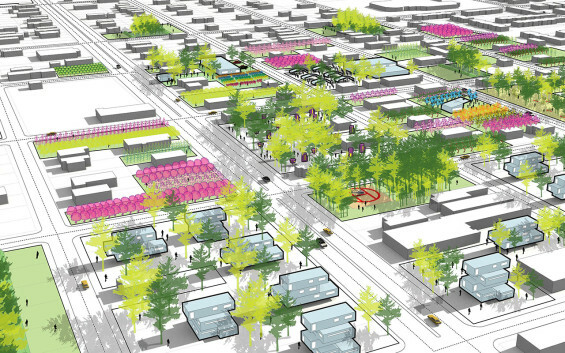 As part of their strategy to link scattered sites for economic development, Team STOSS proposed eco-installations, eco-parks, and nano-farms that could operate collaboratively. 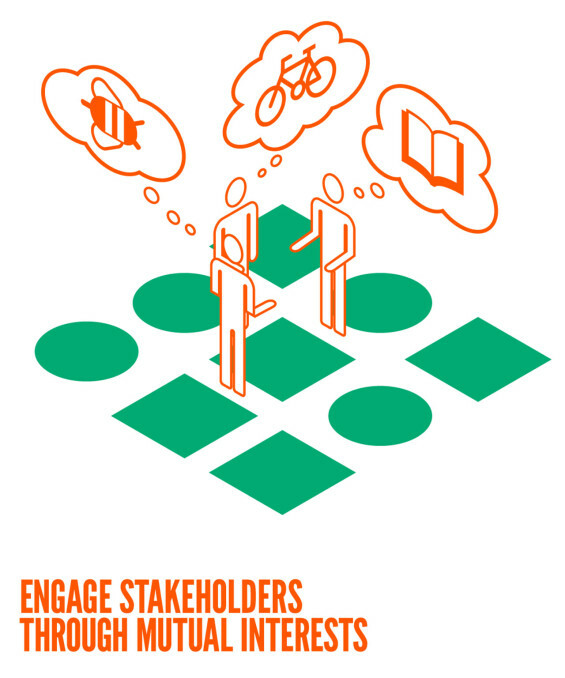 Revamping its stakeholder engagement process to include fun and creative activities. 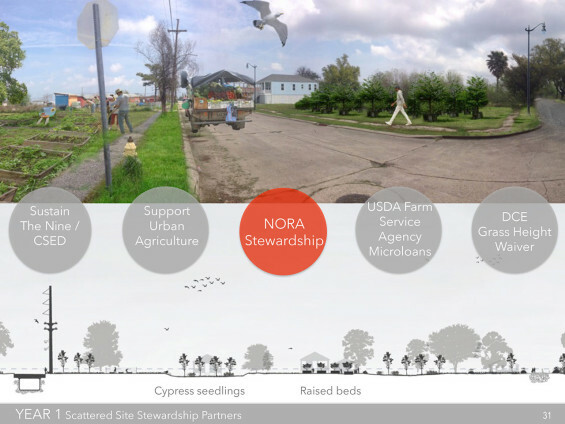 NORA began in fall 2015 by hosting a Water Learning Tour in the Gentilly neighborhood, where city officials and neighborhood leaders explored drainage canals, rain gardens on vacant lots, and homeowner retrofits in in order to learn about innovative solutions to flooding. Developing a Strategic Acquisition Program, which will support the acquisition of targeted lots in order to assemble larger sites. Forming a new Regional Committee on Resilience at the Regional Planning Commission, which will work to improve water management, transportation, air quality, economic development, and other issues at many scales: from the region, to the district, to the block, to the street, to the individual property. 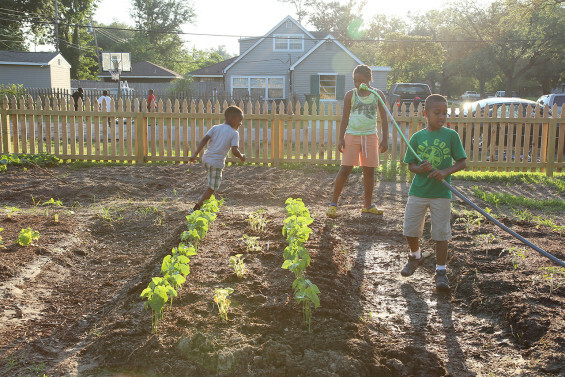 Creating a vision for the Gentilly Resilience District that includes the transformation of vacant lots and underutilized land into parks and green streets that reduce the risk of flooding and provide new amenities to the community and jobs for local residents. 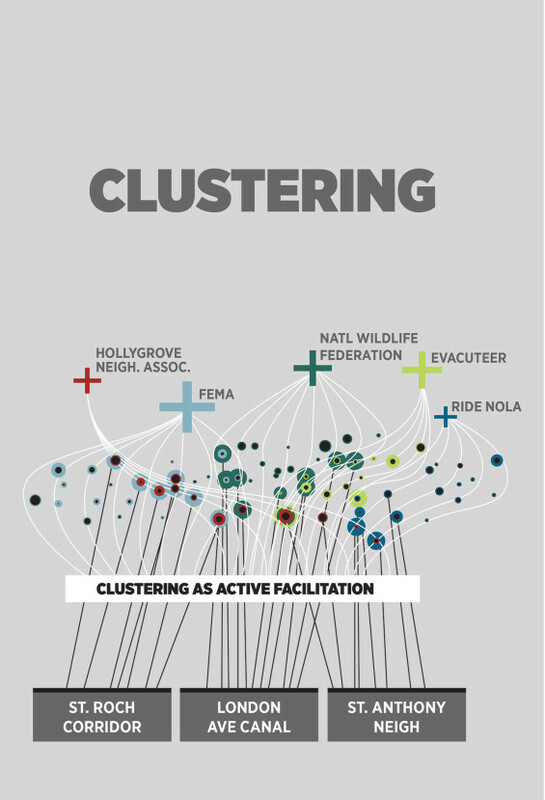 New Orleans won a $141 million federal grant through the National Disaster Resilience Competition to implement several integrated initiatives that will turn Gentilly into a national model for retrofitting post-war suburban neighborhoods into resilient, safe, and equitable communities of opportunities. 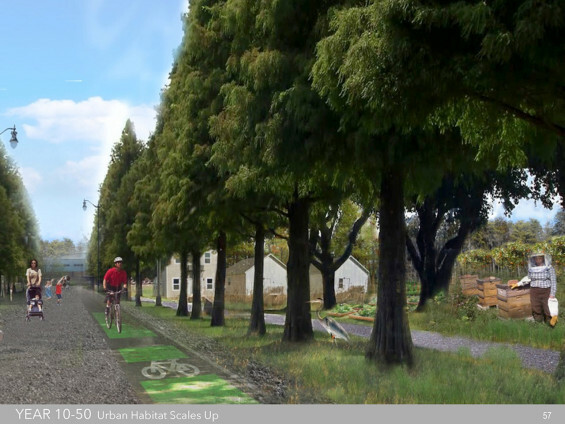 In addition to adopting new processes and policies, NORA will pilot built improvements on select NORA lots over the next year that draw from several of the key strategies from the competition. 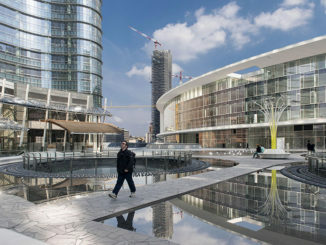 Led by Kristi Cheramie of Ohio State University, with Jacob Boswell, Mattijs van Maasakkers, and Jennie Miller, NOLEX created a collaborative site-planning framework designed to bring stakeholders together around land parcels and shared interests – a process that builds capacity, facilitates decision-making, and creates an opportunity for pooling resources. 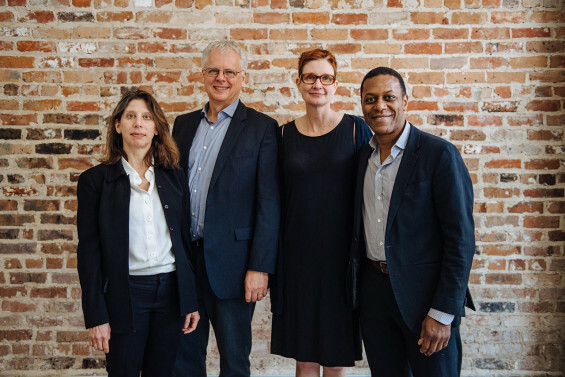 Led by James Dart of the New Orleans-based design firm DARCH with Deborah Gans, LoriAnn Girvan, and Marc Norman, Team PaD’s proposal demonstrated how collaborations across agencies, organizations, and communities could accelerate the scalability of vacant lot reuse initiatives to achieve greater ecological, social, and economic impacts in the region. Led by Chris Reed and Amy Whitesides of the Boston-based design firm Stoss Landscape Urbanism, with Teresa Lynch of MassEconomics, Jonathan Tate of OJT, Liz Ogbu, Ann Yoachim, Jill Desimini, Mike Brady, Byron Stigge, and Kate Kennen. 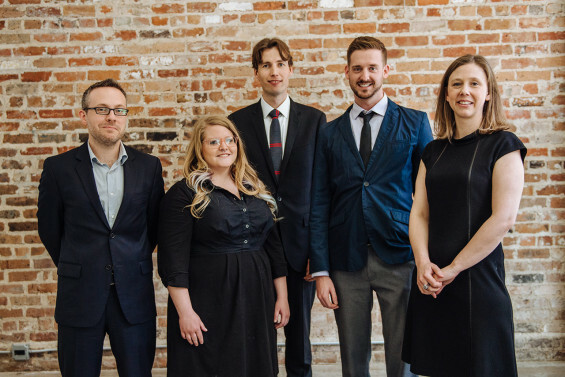 Team Stoss developed proposals for unlocking the economic value of vacant land through job-creating land use strategies on aggregated and assembled lots.